Come Hear The Hottest - and Coolest - Music At The Rogue House! This concert is a late addition to our concert calendar. I really hope you'll come down to check them out! I doubt you'll find more entertainment value than this anywhere in town over the next few days. This trio of women from Saskatoon - Farideh Olsen, Alexis Normand & Allyson Reigh - never planned to get political. But opening a newspaper or watching the news these days made it impossible to see the status of women around the world and stay silent. 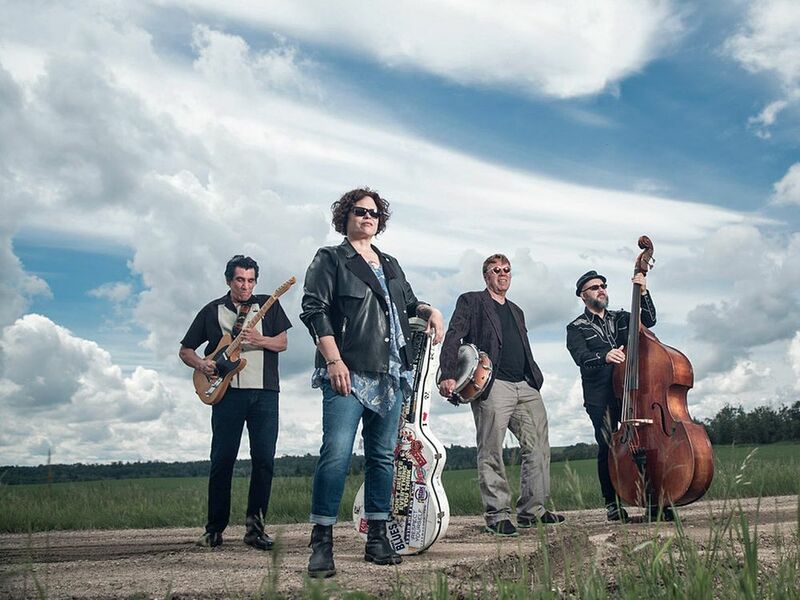 The result is their latest CD, Ms. Behave - a collection of gritty, sultry, vintage-inspired folk anthems that paint a portrait of a woman’s voice in a man’s world. 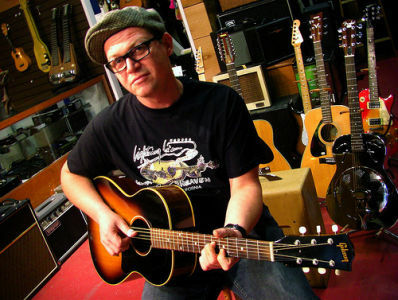 The album was released in April 2018 and remained in the Top 10 US folk music charts for 17 weeks. It peaked at #3 on the CBC Radio 2 Top 20, and was featured in publications such as Rolling Stone Country, No Depression, Parade Magazine and PopMatters. 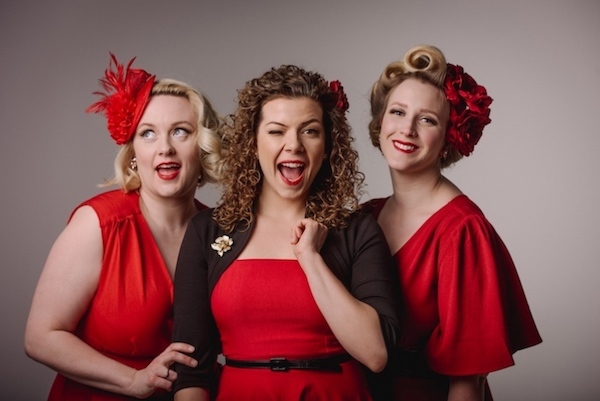 Rosie & the Riveters invest 20% of their merchandise profits into women’s projects and businesses around the world through KIVA.org. They’ve helped women like Alice in Kenya expand her horticulture farm and Maria in Ecuador purchase a sewing machine for her tailoring business. To date, they’ve contributed more than $12k to over 300 projects around the world. 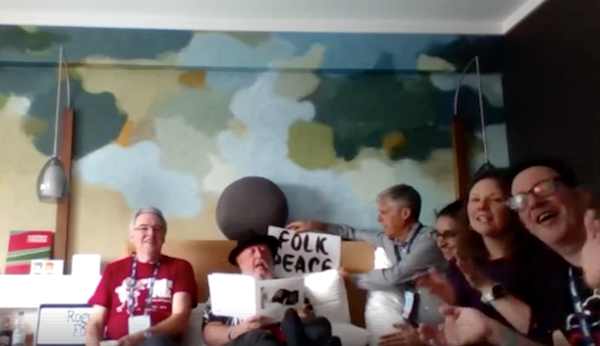 There was a huge Indigenous Music Summit, a wonderful celebration of the legacy of some of Montreal's most celebrated - and deceased - artists (including Leonard Cohen, Kate McGarrigle, Penny Lang, Willie Dunn, Phillippe Bruneau, Lhasa de Sela, Jean Carignan, Carmen Campagne, La Bolduc, Felix Leclerc etc. ), and countless showcase concerts. We ended up with a rocking party at Cafe Campus featuring two members of The Revelers and Cajun fiddler / singer Gina Forsyth. So many memories. So little time to tell you about it all! Suffice to say that next year the Conference moves to New Orleans January 22-26. I think we'll head to Lafayette for a few days beforehand. There shouldn't be any snow at this one!! March is almost upon us!! This Friday is St. David's Day, so there'll be some Welsh music on the show for sure. It's also the beginning of the week leading up to International Women's Day next Friday, so there will be plenty of women's voices and instrumental skills to be heard. It's also the annual Fundrive Edition of the show, and I'll be offering some rare CD collections and ticket giveaways as premiums when you pledge your support to the show. You can call in on 604-822-8648 any time this week, or visit www.citr.ca/donate Please make sure you mention that your pledge is for Saturday Edge. I find it extremely gratifying when so many people tell me how much they've enjoyed listening to my show over the years. I only feel slightly guilty about apparently having compelled them to spend so much money on CDs and concerts they've heard about on my show - which has been aired every Saturday since June 1985!! If you've enjoyed one song, one show, or heaps of shows these past 34 years or so, I hope you'll consider making a donation to help keep the show - and CiTR - on the air for another 34 years and more! Thanks a million!! Next up is a concert with Cape Breton's wonderful Celtic combo, Coig, who bring their brand new CD to the Rogue on Saturday March 9th. 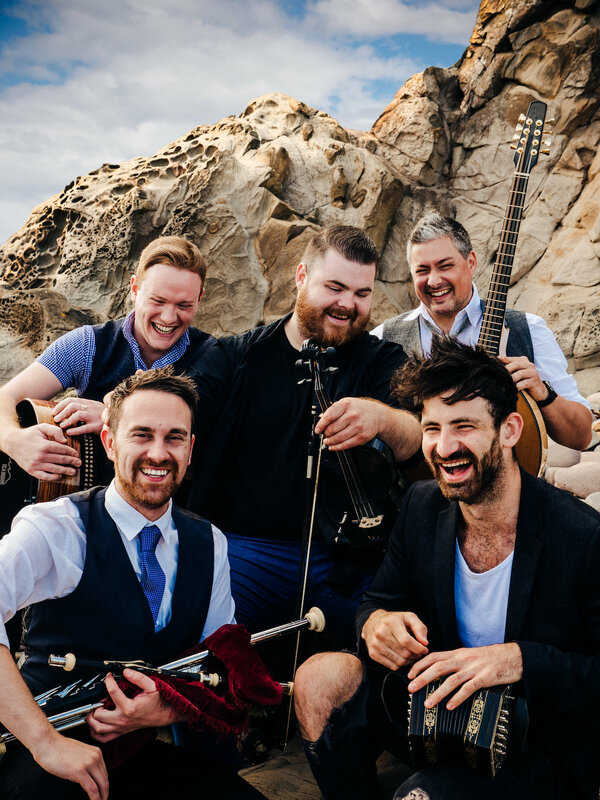 I reckon they are the finest Celtic band in Canada, and we are delighted that the Vancouver Folk Music Festival is co-sponsoring this concert!! 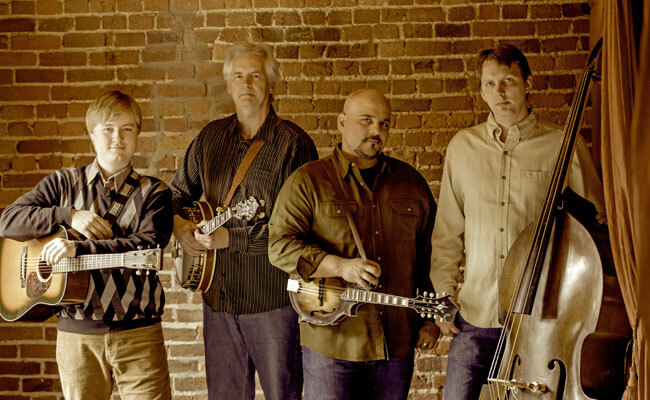 We have a Bluegrass Spectacular on Sunday March 10th with Nashville quartet Frank Solivan & Dirty Kitchen and special guest duo Rob Ickes (dobro) and Trey Hensley (guitar). If you love to be gobsmacked by scintillating, well nigh impossible fretwork and marvellous singing you'll really love this show! Later in the month we celebrate St. Patrick's Day (Sunday March 17th) with a free afternoon of Irish entertainment at St. James Hall, with live music, Irish dancers, Irish wolfhounds, an open Celtic music session, and all manner of fun for the whole family. 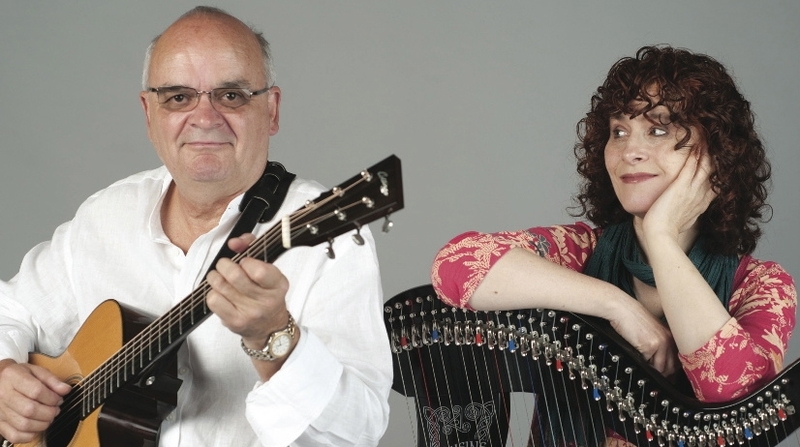 We then present a concert that evening with Tim Readman & Shona Le Mottee reprising the songs of Fear Of Drinking, and White Rock twin sisters Fionn treating us to the luscious sounds of their Celtic-inspired folk-pop songs. Big thanks to the Vancouver Celtic Festival and Harry Cussen for sponsoring this concert! 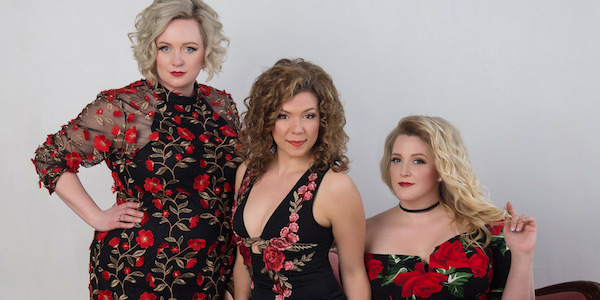 The Vancouver Celtic Festival is on right now, and we are proud to "bookend" the musical celebrations with Coig on the 9th and the newest Celtic "supergroup" from Glasgow - Imar - on Wednesday March 20th. These five young musicians are absolutely amazing! Come and hear some of the most exhilarating Celtic music you'll ever witness played on concertina, fiddle, uilleann pipes, bouzouki and guitar. You wouldn't think it possible to play so many notes in such a short space of time without the music ever threatening to fall off the rails!! Later in the month we feature two brilliant Canadian blues guitarists and singers: Vancouver's own Paul Pigat's Boxcar Campfire (Friday March 22nd) and Alberta's Kat Danser & The Tall Tales (Saturday 23rd), and we round out the month with the first Vancouver appearance in over 25 years of the glorious Dublin harp / guitar duo Maire Ni Chathasaigh and Chris Newman (Friday March 29th). To summarize: if you want to experience the very best in Celtic. Folk, Blues, Bluegrass and Roots Music -- Go Rogue!! 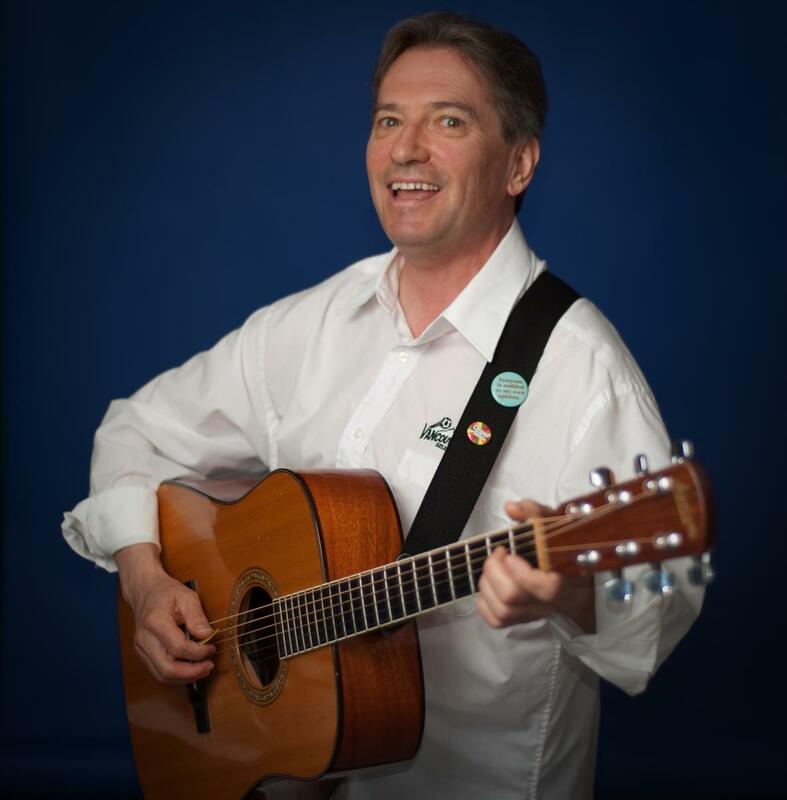 Richard Lowy, otherwise known as just "R”, has been playing Classic Rock tunes since the 70s, and has a repertoire of some of the great classic sing-along songs. 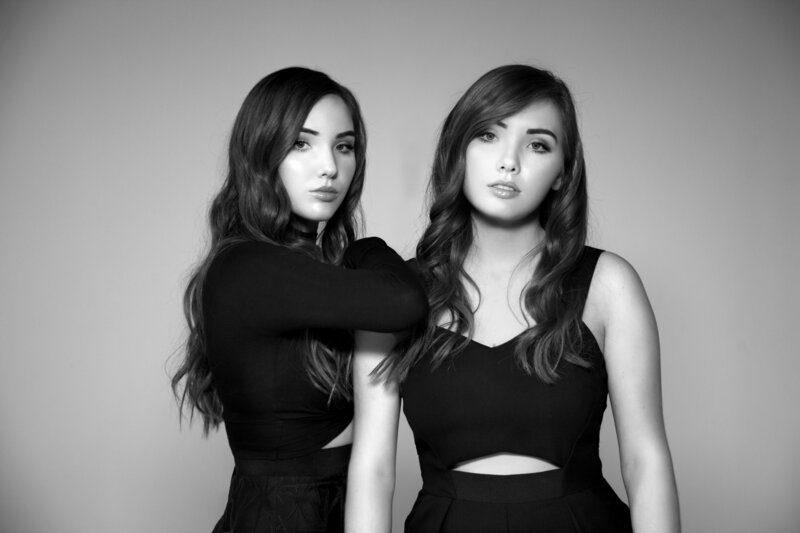 To help hold up the high notes, R will be joined on stage by the sisters, Saffron & Camille Henderson. Both are accomplished in their own rights. Saffron has provided background vocals for David Foster, Lionel Ritchie, Ray Charles, Bad Company, & Paul Rodgers, to name a few. She is also a serious lead vocal artist performing in rock & roll, musical theatre, stage film, and TV. Camille is mostly known for her many years touring as Sarah McLachlan’s back up singer, and she appeared with Sarah at the Grammy’s, Juno’s, & Saturday Night Live. 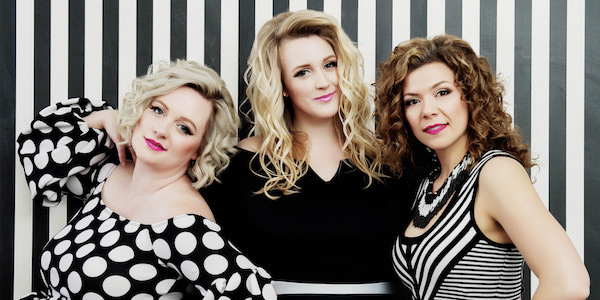 In her teens, she toured as a member of the A&M recording group, West End Girls, earning her a Juno Nomination and a Western Canadian Music Award. On lead guitar... Eric Reed. While you may not be familiar with his name, you will have heard his music. He’s provided tasty sounds and rock solid solos for such artists as Jim Cuddy, Blue Rodeo, Bill Henderson, Barney Bentall, John Mann, Jim Byrnes and so many other great Canadian artists. He is a treat to watch! Holding down the beat will be Martin Fisk on percussion. Martin has provided his percussion stylings for artists and orchestras such as the Frank Sinatra Jr. Orchestra, Petula Clarke Orchestra, Vancouver Opera, and so many more. He’s definitely going to keep the rhythm and get your toes tapping! Laying down the bass lines will be Juno nominee Rob Fines, who has spent his life studying and performing with some of Canada's finest jazz musicians. On harmonica, a great local bluesman, Ian “Stan” Wardle. 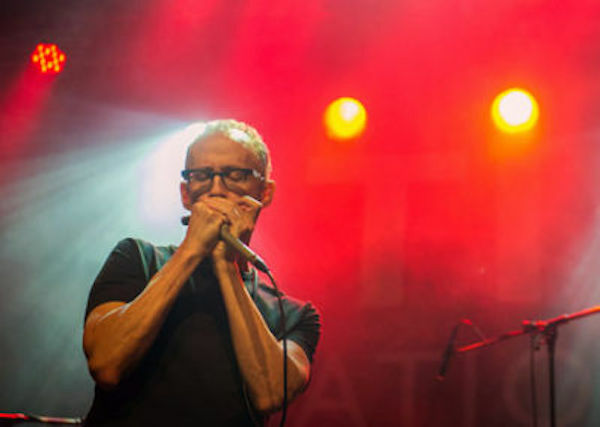 Stan has the uncanny ability to come up with great blues harp solos ‘on the fly’ providing those tasty licks that take the songs' solos to the next level! 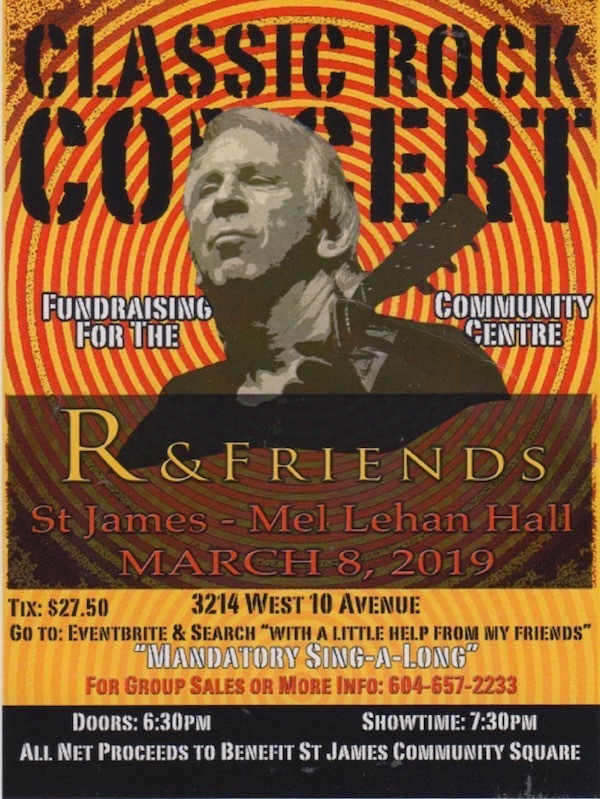 R & Friends is guaranteed to provide a great night of Classic Rock music and singing to help pay for the amazing new washrooms currently being constructed at the venue! Oh and... Singing along will be Mandatory! For tickets and more information click here. It's all for a good cause, and will be tons off fun too!